UGH. It’s 4:00 am and the jet lag is REAL. I was curled up in the warm, dry, cotton sheets of my hotel room for a good hour, before deciding that productivity would reign in my half-awake state. Instead of being a first couple of busy days in Indonesia, it’s consisted of nothing but sleeping and eating. And watching Indonesian cable television. That night was sort of a groggy blur, mostly because I wasn’t with it and I desperately wanted sleep. But what I do remember was being scooped up in a taxi and riding towards our hotel reserved for our first couple of nights in Indonesia. My country manager seems like a straightforward and pleasant person. On the way to the hotel he gave us a quick rundown of safety and security measures to watch out for in Surabaya, like how women shouldn’t take public transit. Or walk around alone at any time. Or how riding a motorbike alone will definitely be the cause of your downfall (traffic is to your right.) Or how traffic in general can be the cause of your downfall, because it’s the number one cause of death in Surabaya and sidewalks are uncommon. Or volcanic activity (as Indonesia is situated in the Ring of Fire). Potential terrorist attacks or floods are rare, but also a potential factor in your downfall. Though, not tsunamis, since our office and living accommodations is more than 4 km away from the ocean. I’m more likely to get my bag snatched than any of the above, really. But, fail to prepare and prepare to fail. We chose to grab a quick bite before heading off to troubled slumber. Our country manager listed off some quick cultural norms while we waited for our food: use your right hand for everything- eating, handing people money, shaking hands, etc. Your left hand is pretty much out of sight (it’s considered dirty.) Use your thumb when you want to point. 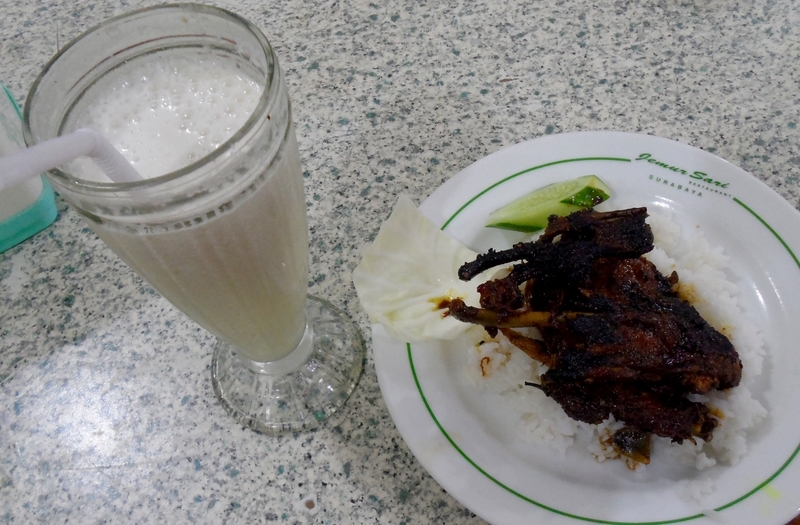 The realities of Indonesian culture immediately presented themselves on a silver platter - actually, on a plastic plate - consisting of a bebek bakar (grilled duck) and rice, along with starfruit juice. Our country manager smiled and nodded, “This dish is usually eaten with our hands.” After washing up, we attempted to eat. Our country manager, left-hand resting on the table, devoured his meal at the speed of light. Aldis and I struggled to eat respectfully with just our right hand. It’s harder than you think. The fruit juice here has me sold. My starfruit juice was only 10,000 IDR, while our bebek bakar (grilled duck) was only 23,000 IDR. I could get use to living here. Sigh. It’s 4:30 am and I’ve managed to hammer out this recount of my first impressions of Indonesia- you only get one chance of experiencing something for the first time. I’d say that I’ve been productive enough this morning. With that, jet-lag induced sleep, here I come. I've just recently graduated with a Bachelors of Arts in International Relations, With Distinctions. 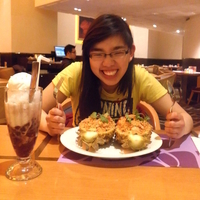 I also have just spent a year learning Mandarin in Beijing, China. I'm really excited to join EQWIP HUBS and for more adventures!